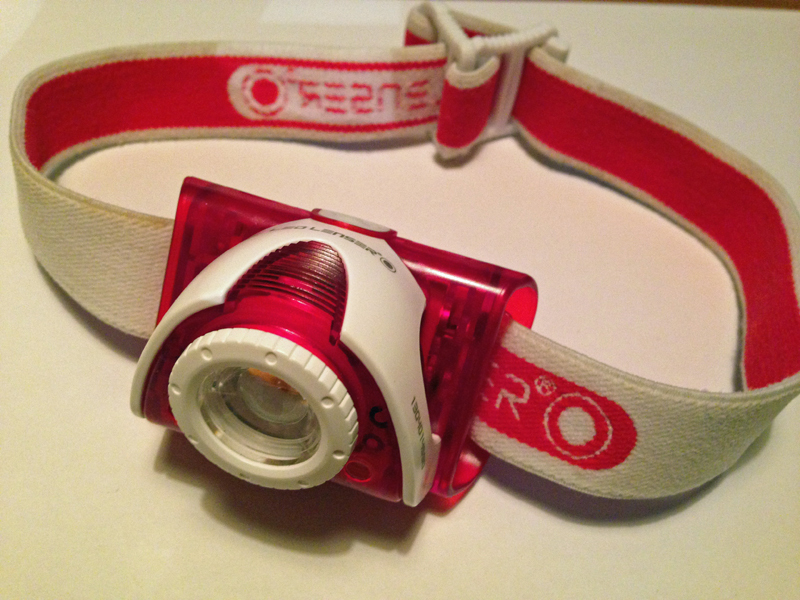 I was given the opportunity to test out the LED Lenser SE05 headlamp which I had planned to test and use at the recent Spartathlon event. 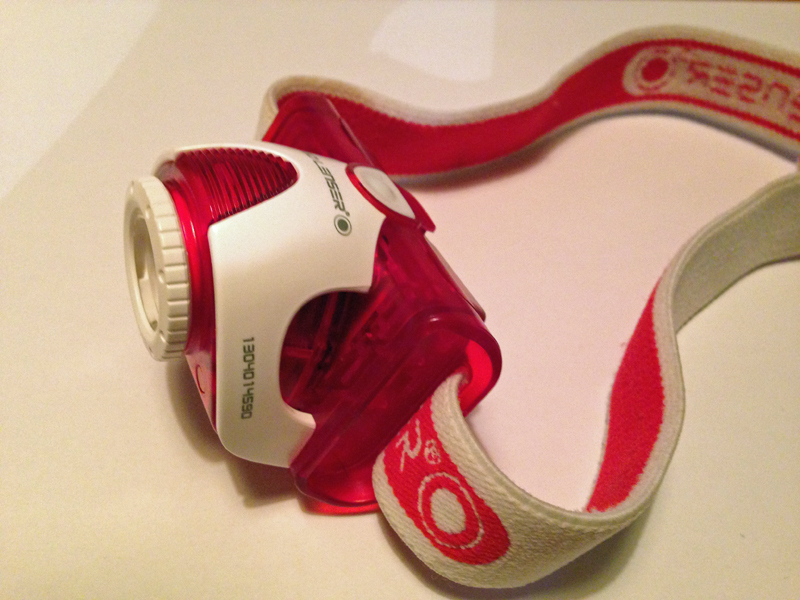 When I first started taking part in overnight runs my headlamp of choice was a cheap Flood-to-throw Cree Q3 Headlamp which costs about £8 online. It’s a bit of bargain, bright but drains batteries very quickly and you could go through 2 or 3 sets of batteries in one night. After a pretty wet, cold and very dark Winter 100 last year (especially through the covered and tricky Grims Ditch section which had lots of exposed tree roots) I decided to upgrade my head torch having been dazzled and impressed by the power of other runners headlamps. Based on a couple of recommendations I picked up a Lenser H14 headlamp. This is a powerful head torch with a beam range of 200m, advertised battery life of 13h (on a lower power setting) and a brightness of 210 lumens. This headlamp is powered by a separate battery pack of 4xAA batteries which can be clipped around your waist on placed in a pocket. It’s a pretty heavyweight torch. However, despite the power I was on the lookout for something which gave me a better brightness vs. weight balance. For the Spartathlon event, I wanted to travel light and had planned to leave my headlamp in a drop bag before I needed it and so would have to carry it for a while before I actually needed it. In addition, most of the route is on roads and passes through villages so I thought there may be some other light sources during the route and didn’t need my most powerful torch. 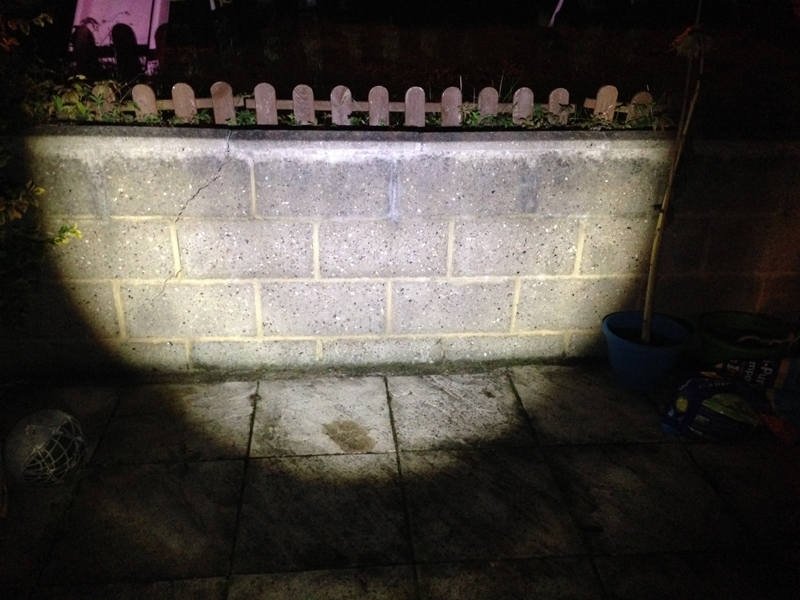 The LED Lenser SE05 fitted the bill as it was reported to give good lighting power (180 lumens), appeared lightweight (105g) and reported good battery life (7 hours max/ 25 hours low power setting). The beam range was also sufficient at 120m/40m (full/low power). The following comparison pictures below show the Lenser H14 beam on full power from about 8 foot away vs the Lenser SE05 beam on full power from the same distance. The LED Lenser is lightweight and comes with a thick elasticated headband which fitted comfortably around my head. The head torch is powered by 3 x AAA batteries which clip into a small battery pack at the front of the headlamp behind the LED light itself. The light is position at a slight angle downwards so light is dispersed towards the ground. When I collected the head torch from my drop bag it was small enough to either stash in a small pocket or wrap around my wrist before I needed it. The headband strap was wide and the fit comfortable. During my testing in race conditions, I predominantly used the low power setting. I had about 10-12 hours of dusk/darkness to manage but didn’t test the full battery life as had planned to change batteries midway through the night as a precautionary measure (i.e. just before the mountain climb as I didn’t want to risk failure at the most exposed and treacherous point of the race). The LED Lenser also provides the ability to adjust the power setting between the “low” and “high” power setting. This is achieved by clicking the button to the low power setting and then holding it down, the torch will increase in brightness until you release and this setting will then be saved. This gives you the ability to set your preferred balance between power and battery life and is a useful feature. Overall, I was quite impressed with the features of the head torch and there is a definite place for this amongst my range of kit selection. It has good power output and is lightweight with the full battery life yet to be put to the test. For ultra running events where there are only a few hours of darkness or dusk then this would definitely be my preferred choice of headlamp. There is an argument that it could do the job for most of my night runs but I still like the power of the Lenser H14 and proven all night battery life for the really dark, long, wet, wintry nights although the Lenser SE05 is small enough to be stashed as a very good backup option. One point to note is that I didn’t test the battery life to death and so unable to confirm if the battery life meets the stated standards. There are three models in this series of headlamps. I tested the mid-range Lenser SE05 and my observations are based on a review of this model. In addition there are two other models in this range of headlamps which were not tested. 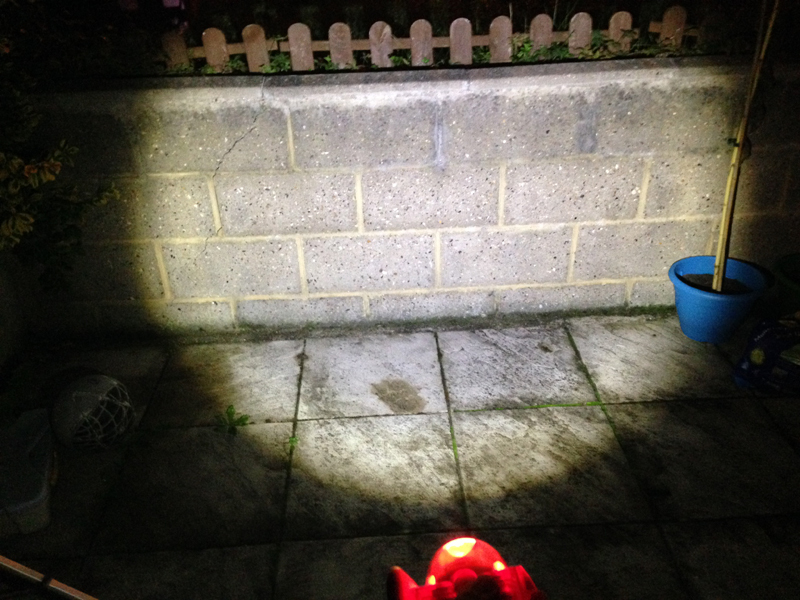 At the top end is the Lenser SE07 model which comes with a rechargeable lithium ion battery pack (although it can use AAA batteries) and is also slightly brighter at 220 lumens but sacrifices some battery life (reported as 5 hours max/20 hours low). I rarely run in the evenings or at night but spending the extra on a rechargeable battery may be a worthwhile investment here to save you the cost of replacing batteries. Finally, at the lower end of the scale is the Lenser SE03 although this is not as bright (90 lumens) but offers good battery life (10 hours max brightness/40 hours low power setting) and could be a backup option but I would personally go for the SE05 over the SE03. 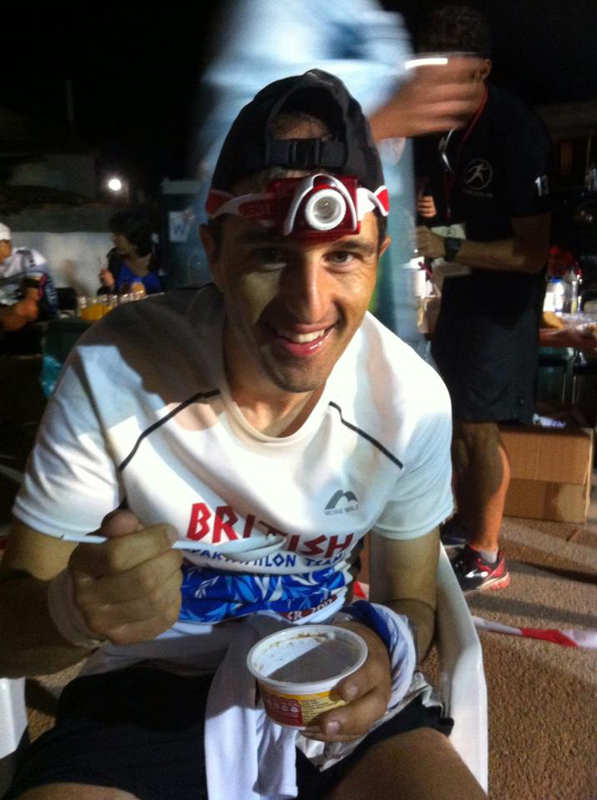 The range of Lenser headlamps can be purchased from the ULTRAmarathonRunningStore at the following links. A quick note on behalf of Silva who have noted your website etc. and would be happy to provide a Runner headtorch (http://silva.se/products/sport/runner) for you to use and review if you wish. Please get in touch via the email address provided if you’d like to go ahead. It seems you’re from Silva and looks from Paul’s blog that you provided the Trail speed Elite for review. I don’t know if you have chance to follow the comments of the Silva review but I had very bad experience with both Silva and this particular product. My torch is dimming down after a short use even if I use it in a cold dark night (roughly in 18°C) with the 5 min/ km pace. I’m very disappointed due to its performance because as a trail runner I selected it for it’s great lumen output and I wanted to use it on technical trails where the speed is even lower than I mentioned earlier, but the visibility is key. I sent my feedback to Silva and got a polite mail from a person called Kari suggesting to replace to an another one at the distributor, but the distributor said, all of his lamps are working on the same way. Could you suggest me please what to do? Good Review. LED Lenser make great headlamps, I have a LED Lenser H7R.2 headlamp and I use it all the time, its lightweight and it has great performance and the battery life is very good, comes in very handy when out walking or running at night. I have the SEO5 which I use for off road running, including racing. I love the torch but there is ABSOLUTELY NO WAY it lasts for 7 hrs on full power. I do wish LED Lenser wouldn’t make such a claim, after all it’s not difficult to test.